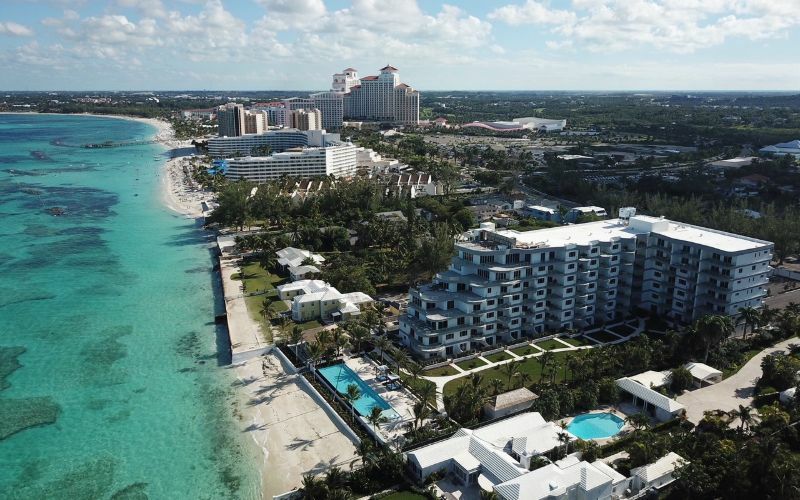 With the lure of a big city and the ease of a tropical utopia, vacation to Nassau and experience a bustling metropolitan hub full of culture and modern amenities. 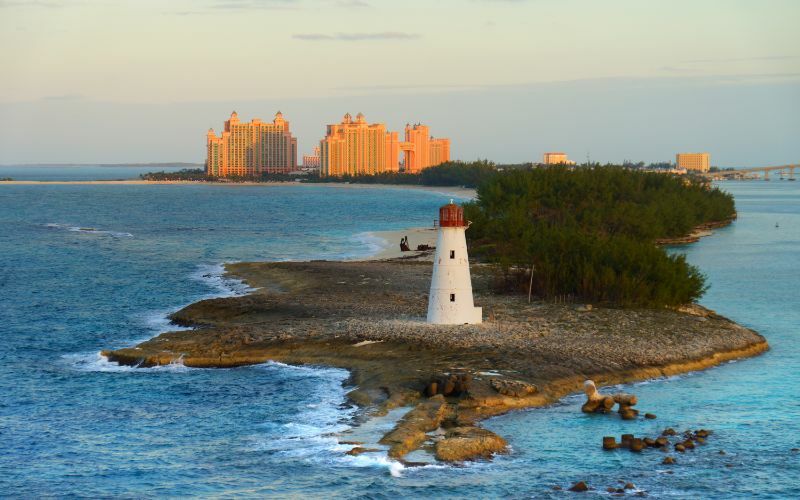 Nassau, the Bahamas capital, is considered by many as paradise. The island boasts resorts, hotels, restaurants, shops, nightlife, a golf course, an aquarium and a casino. With limitless possibilities for fun, your biggest problem while on vacation will be trying to decide what to do first. Share a beautiful beach vacation with your family by taking a boat ride along the coast or to a neighboring island, engage in a snorkeling adventure or enjoy beachside pampering, whether that be with a massage or with a cocktail, while your kids play in the sand. Step into the Bahamas with a group of friends and you’ll quickly realize its beauty extends far beyond the extraordinary natural wonders. You’ll notice it in the smiles of the local people, the unique sounds of the musical culture, and the warm hospitality provided by shop and restaurant owners. 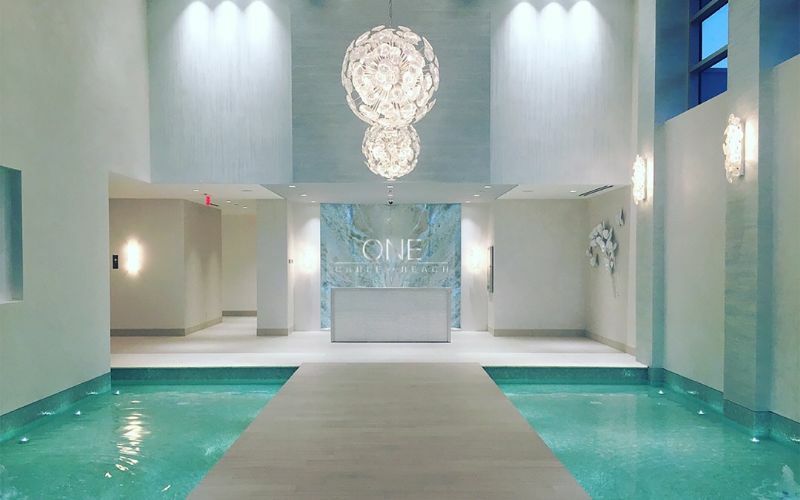 If traveling alone, it is only fitting you visit one of the most relaxing places in the world, offering a variety of ways to help rejuvenate your mind, body and soul. Enjoy a spa treatment or wellness activity. For those on a romantic retreat for two, Nassau is the perfect destination to celebrate an anniversary, honeymoon, or any type of milestone. 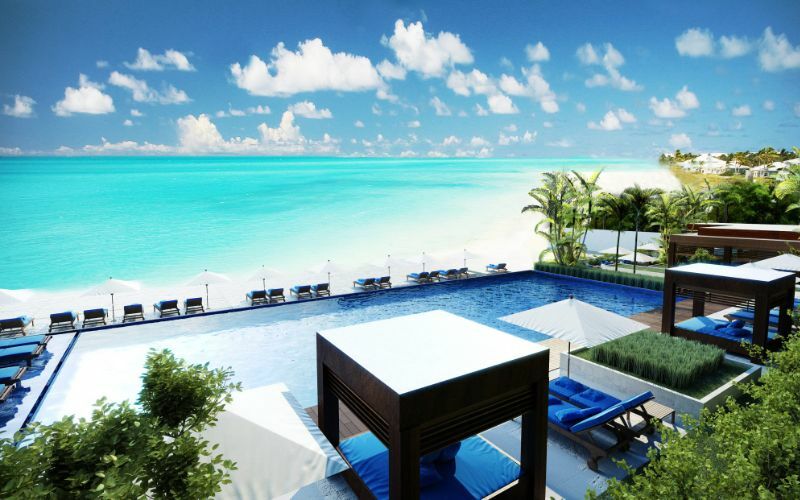 You’ll find breathtaking panoramic views, soft white and pink sand beaches, spectacular sunsets and exotic hideaways. Just as pleasing as the environment and activities in Nassau, is dining in Nassau. Discover Bahamian cuisine and all its spicy and unique flavors. Family-run restaurants will feature traditional Bahamian favorites, while more artisan options will combine international cuisine with island flare. When the moon lights up the night sky, the entertainment awakens. Enjoy the traditional music in quaint bars, the latest hits in city-style nightclubs, or try your hand in the casino. 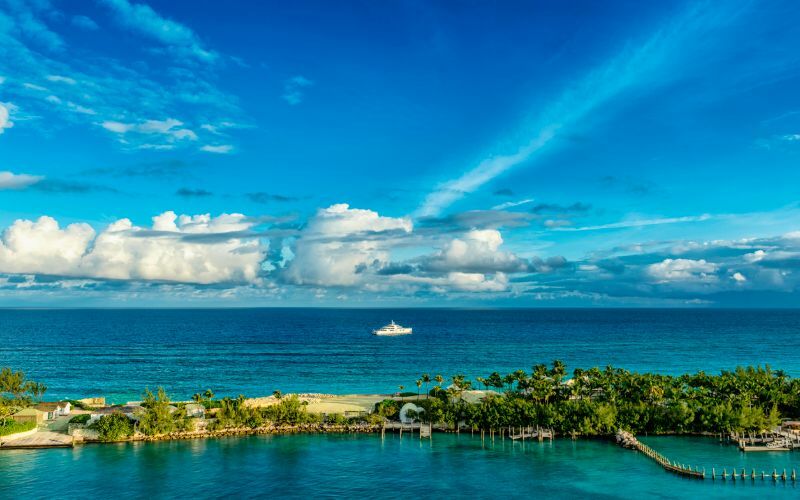 Visit Nassau and you’re sure to have an experience like no other place on Earth. Nassau enjoys a tropical savanna climate with warm winters that are fairly dry and warm summers with reasonable amounts of rain. Even when it does rain, the sky usually clears quickly allowing you to go back and enjoy the beach. The best times of year to visit Nassau based on a beach/pool score are from mid-March to mid-May and from late October to mid-December. The winter months, from mid-December to mid-April, are the busiest times of year and typically attract the most tourists. Therefore, you can expect prices to skyrocket but will enjoy the season’s most comfortable daytime temperatures and clear skies, ideal for snorkeling, lounging on the pristine beaches, or exploring outdoor oases. 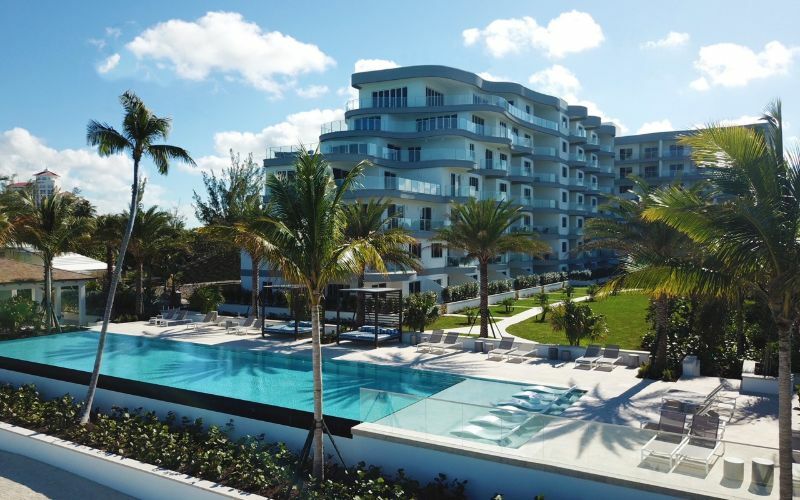 If you’re looking to beat the crowd while still enjoying Nassau’s beauty, consider vacationing before Christmas or between early January and late February when spring breakers have yet to arrive. Although temperatures here are great year-round, hurricanes may be a factor between June 1 and November 30 (the Atlantic hurricane season). Rainfall 2.2 in. 2.0 in. 2.1 in. 2.6 in. 4.5 in. 8.2 in. Rainfall 5.8 in. 7.7 in. 7.0 in. 5.7 in. 2.9 in. 1.9 in.